In the spring, we clean everything from our bathtubs to our closets. But one thing we often forget to refresh? Our minds and hearts! Come to Access AM April 3 and swap some bulky business clothes for a space-saving Access t-shirt! Access will donate the clothes to NETWORK for people needing business attire for job interviews. 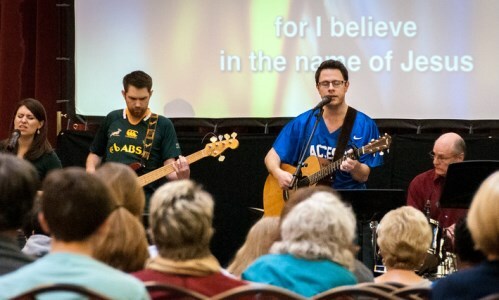 Experience a sample of our afternoon Access contemporary worship service that's coming to the morning when our new Worship and Arts Center opens this fall!. 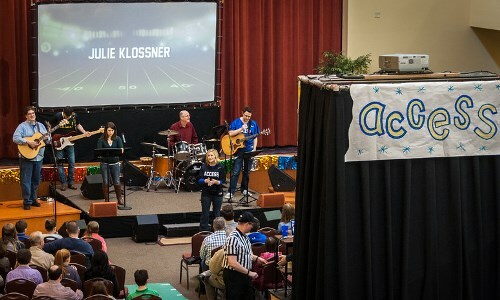 Access worship blends contemporary Christian music, a strong community feel, and often a bit of the unexpected into a fun and meaningful worship experience.